to make funny/professional/creative online videos. Give your video a new touch and feel with Animiz. 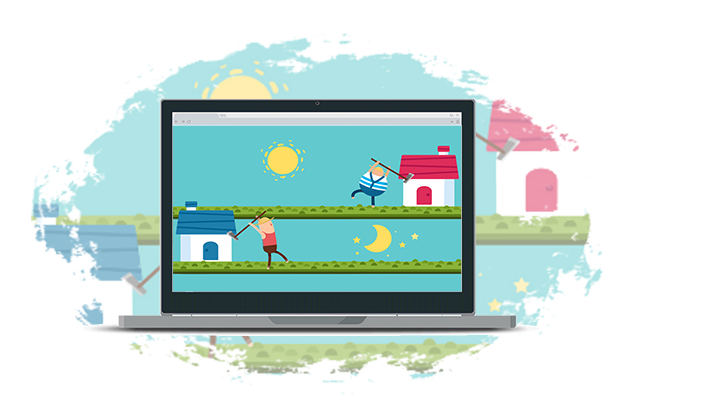 This online cartoon video creator offers infinite canvas, dynamic roles, flexible timeline management and rich editing resources for you to make stylish videos. From creating, editing, publishing to sharing, all are easy and time-saving. The user-friendly video creating experience is suitable for all levels, therefore, everyone can bring your contents to the next level with an animated, creative video design. There requires no coding or programming skills. Decoration effect is surely what you need to maximize visual engagement. On the one hand, different style of mask filters will turn your contents into artistic presenting. There has no plain, simple SVGs, pictures, SWFs, symbols and videos any more, instead, lively decoration effects offer a modern way to catch people’s attention. On the other hand, shadow effects are beneficial for emphasizing important points. You could therefore showcase your contents clearer. 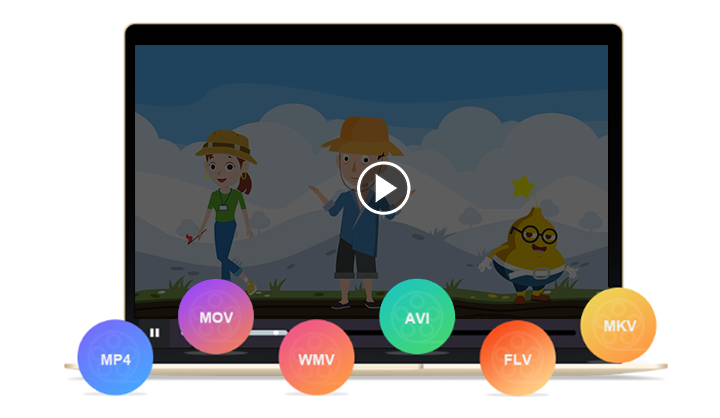 Animiz cartoon video creator enables you to distribute stunning videos diversely and flexibly. 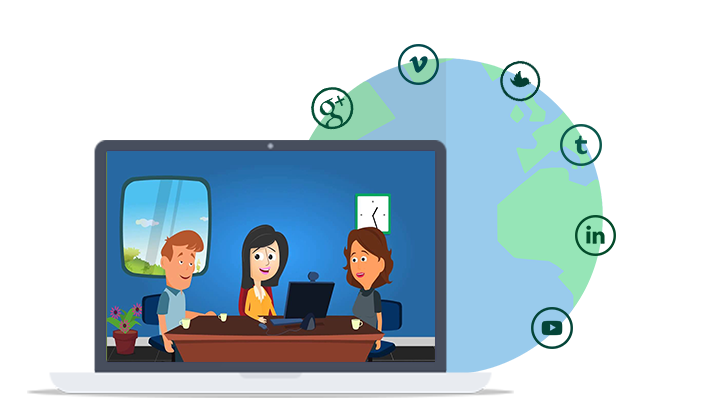 Not only could you publish well-designed cartoon videos to cloud and impress people on all mobile devices, you can also have offline video creation with ease. 6 different formats including .mp4, .mov, .wmv, .avi, .flv and .mkv will meet your needs to have offline enjoying and sharing. Just customize the advanced options (video size, video format, frame rate, alpha channel), then you can publish videos in minutes. Share your creation with a click. You could share amazing video stories on YouTube, Vimeo, Facebook and Twitter to impress people anytime and anywhere. Powerful social networks are great platforms to make close connection with people. What is more, it is inspiring to embed your video to sites, which helps to enhance your expression, driving more traffic and boosting wider enjoyment. As a result, people can read your contents, share your interesting ideas to their friends via links. Engage the world with amazing video contents will never be difficult. A variety of pre-made templates available for your free uses to create professional video animations. 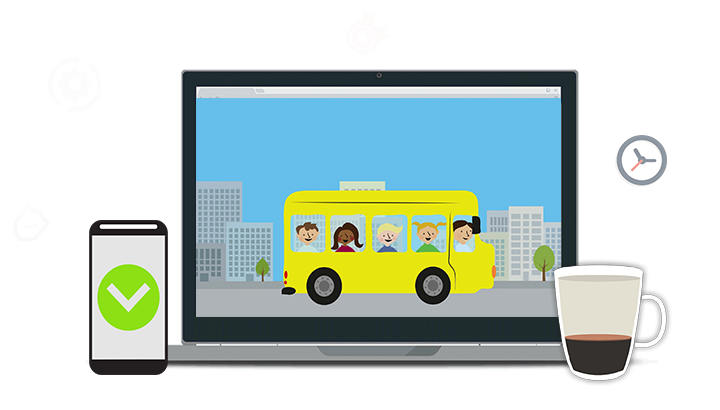 Enrich video with multimedia contents, including SVG, SWF, shapes, effects, sound and videos. Publish videos in flexible output formats to meet your sharing, promoting or marketing needs. Share the world with professional video animations on YouTube, Vimeo, Facebook and Twitter.